Here we have a free EDM sample pack. If you’re looking for a free House sample pack, a free Dance sample pack or a free Electronic sample pack this should also fit the bill. 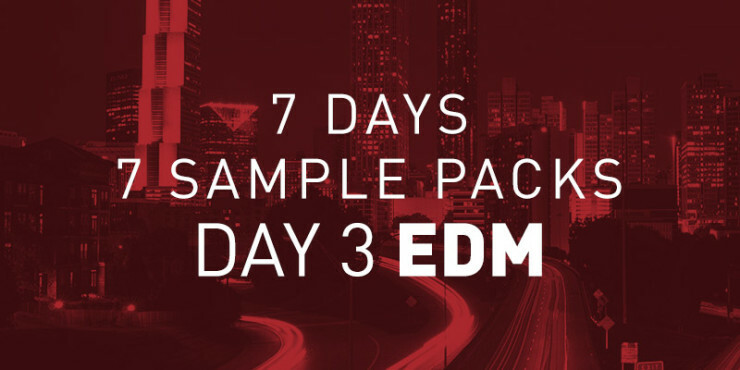 Now onto day 3 of the 7 Day 7 Free Sample Pack week we thought we should try something a little different. We have put together a free EDM, House, Dance and Electronic sample pack for you to download. This pack includes 35+ free EDM samples including hard hitting EDM kick drums, EDM Snares, EDM Hi Hats and EDM Drum loops. Our pack will also work fine for House drum loops, Dance drum loops and Electronic drum loops if thats what you’re looking for. If you’re looking for a DJ Snake sample pack or a Martin Garrix sample then this is for you. Also good for a Diplo sample pack or Major Laser sample pack. Specifically what it included in this EDM sample pack? If you are new to this free sample pack site be sure to subscribe to our mailer for constant free samples. We’ll keep you supplied with high quality and professional samples. Also enter our competition to win an exclusive EDM sample of your choosing. You can simply open the site in an incognito window or email us if you want to subscribe.